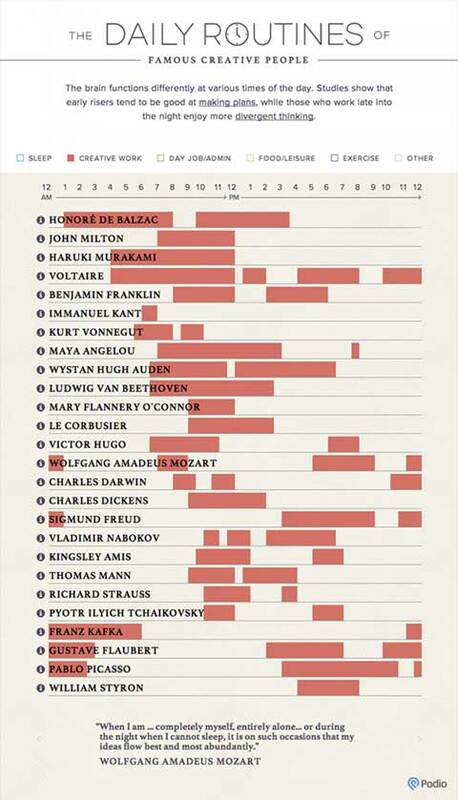 I stumbled across this article from the Washington Post that gives the hour by hour break down of the routines some of the most creative people in history. Since I read it, I’ve been thinking more and more about rituals and routines and how they relate to the creative process/creativity in general. I am someone who likes to lead a fairly structured life. I like knowing where I’m going and what I’m doing. I start each day by checking in with myself mentally and physically doing meditation and yoga. I also make coffee and feed my cat. I’m curious about the difference between a ritual and a routine. I think it has something to do with the awareness you bring to the action. A ritual is decisive in its pattern/behavior. Rituals feel purposefully and sacred while routines feel mundane. Both are performed without question or hesitation Although if you find yourself involved some weird cult ritual, a drink the kool-aid type of thing, you should probably ask questions. Rule of thumb, if it involves animal sacrifice, take a moment and ask yourself: Is this really where I want to be?. The dancer part of me loves a pattern and routine. Hours upon hours of repetitive movements and class structure (warm up, movements across the floor, combinations in center, rehearsals, bow to end class). I get creatively prepared by moving my body, getting in the headspace to create and figure out what my body wants to do. Do you think you could transform your routines into rituals by being more present? Many people have creative routines/rituals…what are some of yours? Renowned ballet choreographer Twyla Tharp says that creativity is not a gift from the gods, but rather the product of preparation and effort. 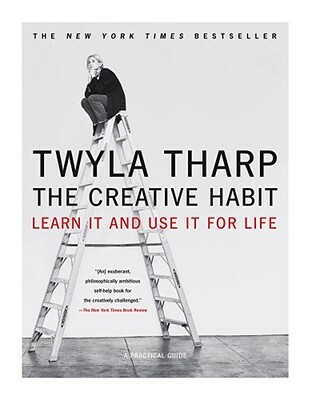 Her latest book, The Creative Habit: Learn It And Use It For Life, debunks the myths and misperceptions about creativity.